Locating the best Millwood HVAC contractor is one of the most essential tasks to address, as any homeowner will tell you. The reason this is so important is that you are going to require this type of service on more than a few occasions, so it is crucial that you get the best service there is. When you make the smart decision to work with the Nu-Way Air Conditioning & Heating team, you can feel confident that you are getting the best possible service there is. We stand behind the creed “Fixed Right or its Free” because we are committed to offering the finest service. More than likely you are already aware of how much you rely on your heating system and need to be sure that it will continue to work, when you need it most. But if you don't bother to take care of your heating then it will run up your utility bills higher and pose the threat of breaking down. No matter what happens, we will be there for you including around the clock emergency service. We offer our customers service 24 hours a day, 7 days a week and 365 days a year. 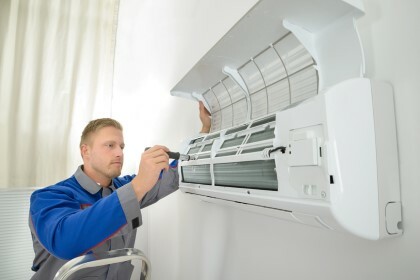 Let's not forget the importance of making sure that your AC keeps working all through the summer, as well. The health and well-being of your loved ones depends on functional cooling in the summer, almost as much as heating in the winter. Keeping your temperature control system in check will ensure that you and your family are comfortable all year long. Give our pros a call today and let's help you take care of whatever you need done; from installation to inspection and from repairs to replacement. One topic few homeowners address, even though it is one of the most important, is the need to take care of your indoor air quality. 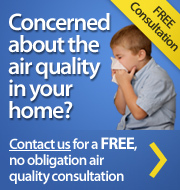 Research indicates that indoor air can be anywhere from 2-100 times more polluted than outdoor air. Without taking precautions, you could involuntarily be exposing yourself and your loved ones to contaminated air. Don't take chances when it comes to the air that you and your family breathes. So, if you are ready to get started, give our team a call today. The Nu-Way Air Conditioning & Heating crew is ready, willing and more than capable of addressing any and all of your service needs. Let us show you firsthand how we earned our flawless reputation for our Millwood HVAC work. Get in touch with us today and let's take care of your service needs. If you're looking for a Millwood HVAC contractor, then give us a call today at 914.777.5030 or complete our online request form.